In recent years increased research has been done on the medical applications of tattoos, they have proven effective in delivering drugs, administering vaccines, and working as blood sugar level sensors in conjunction with skin based electronics. New research out of Switzerland, published in Science, has essentially invented a tattoo that can detect cancer. The tattoo “ink” is injected under the skin, and only becomes visible when it detects elevated calcium levels in the blood, an indicator of breast cancer, colon cancer, lung cancer, and more. The procedure was developed and demonstrated in mice using reprogrammed calcium detecting cells to produce melanin, a black pigment which color moles and freckles. Thus the tattoo would be invisible when administered, but would appear as a large black dot if blood calcium levels became consistently elevated, as in many types of cancer. Perhaps the greatest difficulty in cancer treatment is diagnosis; by the time a patient notices symptoms and seeks medical attention, the disease may have already begun to grow aggressively. By administering these dormant monitors in people, particularly those at a high risk, cancer can be detected as soon as physiological changes begin. The tattoo ink is actually made from calcium detecting cells that humans use to regulate calcium in the blood. Calcium is an essential compound for maintaining functions like cell growth, cell death, cell movement and more. But its concentration is precisely regulated, if there is too little the bone marrow will produce more, if there is too much, the bones will stop producing it. So when calcium does become elevated it is usually corrected in a few minutes. But certain cancers can inhibit the hormone that acts to regulate calcium production, and so calcium levels remain consistently elevated. Though there are other pathologies that can cause elevated calcium levels, the tattoo worked well in mice to detect certain cancers before they became symptomatic. It has also been shown to be resilient to short term fluctuations in blood calcium levels and would be especially useful for patients who display risk factors for these cancers such as those with a diagnosed parent, a history of smoking, or work in hazardous environments. But even if it is best used in niche applications, this represents a dramatic shift towards an entirely new field of diagnostic tests. Human beings can already have their DNA analyzed and identified for specific disease risk factors, if similar tattoos can be created for Celiac Disease, Parkinsons, Alzheimers, and the rest, then medical attention can be sought and treatment strategies implemented when the disease has only just taken hold, when it is at its most treatable. The Holocaust was the genocide of millions of Jews by the Nazis between the years 1939 and 1945. Researchers at Ben-Gurion University of the Negev in Israel published a study in 2018 that found a higher rate of cancer occurrence in Holocaust survivors in Israel compared to those who did not experience the Holocaust. There is very little information regarding cancer in this group of individuals. All legal decisions concerning financial assistance for Holocaust survivors fighting cancer is based only on one former study. Keeping this in mind, the researchers conducted a comprehensive study that took into account misleading cancer risk factors like age, obesity, diabetes, and smoking. 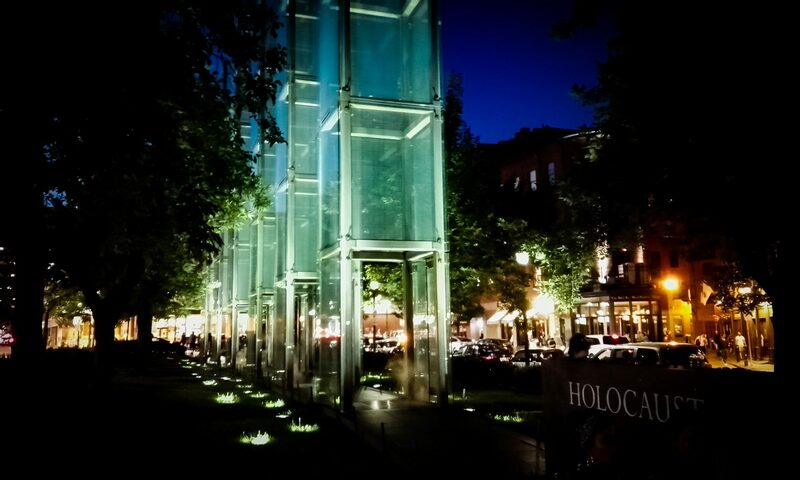 The study was conducted on 294,543 individuals who were Holocaust survivors based on recognition status as defined by the Holocaust Survivor Benefits Law. Data analysis was done on some of the most prevalent cancers in Israel, cancers of the lungs, colon, bladder, melanoma, breast, and prostate. Analysis for the last two cancers were conducted only on women and men respectively. The occurrence of all six types of cancer was high among Holocaust survivors. The RR, ratio of risk in the exposed (Holocaust survivors), compared to the unexposed (no Holocaust experience) was high for all cancer types. As an example, lung cancer, bladder cancer, and melanoma all showed an RR of 1.2. Based on the fact that the the study took other additional risk factors into consideration, researchers concluded that being a Holocaust survivor is an independent risk factor for all six types of cancer that were explored. Holocaust survivors who were enrolled in the study were born in European countries under Nazi occupation before 1945, immigrated to Israel after 1945 and were alive in the year 2000. Researchers who conducted the study explain the results as possible consequences of extreme survival conditions endured during the Holocaust. Starvation endured by the survivors over extended periods of time could be one explanation for these results. In addition, continued exposure to toxic wastes due to the proximity of incinerators in concentration camps and, lengthy exposure times to sunlight and resulting UV rays could also be possible reasons. There are, however, a few shortcomings to this study to be noted. Study participants, despite having immigrated to Israel from a certain country, could have been born in a different one, thus affecting their experience regarding the Holocaust. Furthermore, data analysis was done only based on six common cancer types, when there are many others to be considered. The risk factors based on lifestyle, such as alcohol consumption and exercise habits during the study were not examined. In addition, the Holocaust survivors who died before the year 2000 were not included in the study. This prevents us from taking into consideration their cause of death, which could have shown a higher rate of factors other than cancer. Taking these advantages and shortcomings into consideration, it can be concluded that the study provided significant results that can be influential in changing the treatment and benefits provided to Holocaust survivors battling cancer in Israel. According to a recent study, one-third of cancer patients suffer from anxiety, depression, or adjustment disorder in the months following their diagnosis. As a result, many of them add prescription anxiolytic (anti-anxiety) and antidepressant drugs to their cocktail of chemotherapy, radiation therapy, anti-coagulants, and antibiotic drugs. The problem is that some of these anxiolytic and antidepressant drugs interact with cancer treatments and are less effective in cancer patients. They also trigger a horde of negative side effects that compound the side effects of regular cancer treatments, including seizures, headaches, and addiction. 1. 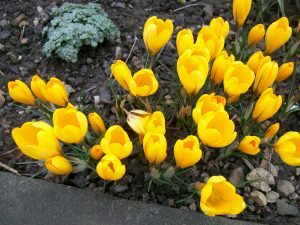 Extracts of saffron, a spice derived from a Middle Eastern flower, may be able to treat mild to moderate anxiety about as well as fluoxetine (Prozac) and imipramine (Tofranil). It has also been successful in easing anxiety and depression caused by PMS in women. 2. Lavender pills, made from oil of the lavender plant, are able to treat anxiety comparable to the drugs paroxetine (Paxil) and lorazepam (Ativan), but with fewer side effects. 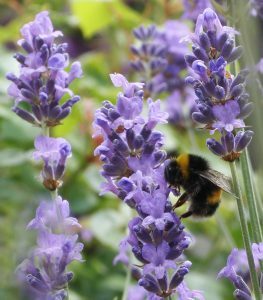 Lavender lotions and diffuser oils are often advertised for their calming and relaxation properties, and this holds true for lavender tea and extract drops, which may increase the efficacy of antidepressants citalopram (Celexa) and imipramine (Tofranil). 3. 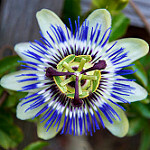 Passionflower, although no better than prescription drugs, seems to perform similarly but with fewer side effects, when compared to oxazepam (Serax) and sertraline (Zoloft). 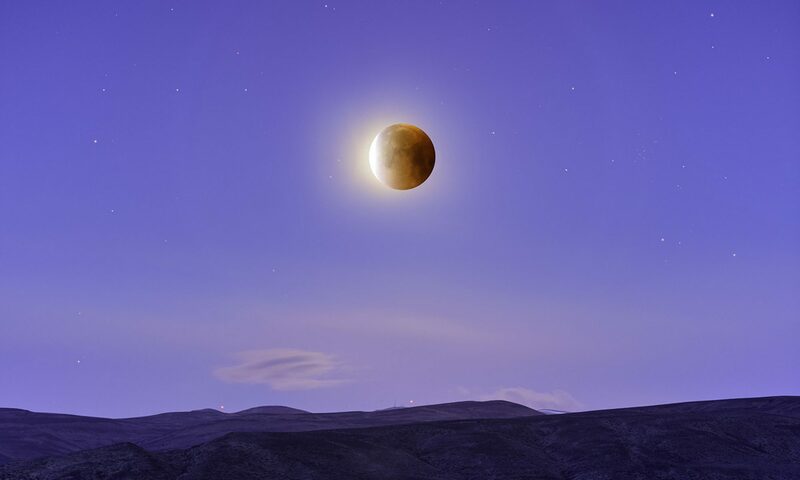 This substance also comes from a flower, which Native Americans have historically used to prevent insomnia. 4. 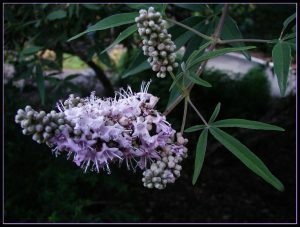 Chasteberry, typically used for PMS symptoms, was compared to fluoxetine (Prozac), and while it didn’t seem to address psychological symptoms of depression, including persistent sadness, hopelessness, and loss of interest, it did alleviate physical symptoms, such as sleep trouble, digestive problems, muscle aches, and headaches. Overall, researchers found that the herbs are not as potent, but are safer than the prescription counterparts. Clinical trials are needed to further analyze the potential of these herbal supplements and determine their benefits, especially within a oncology context. Because these supplements can be purchased over the counter, physicians don’t always know which supplements their patients are taking. It’s important to discuss an alternative treatment plan with a doctor before use. What makes one tumor different from another? The word ‘cancer’ can be used to describe hundreds of maladies, from a misshapen mole, to sickle shaped blood cells, to massive tumors in the heart, lungs, or anywhere else. But what makes a heart tumor different from a lung tumor? And why are there four different types of lung cancer? The answer lies in the DNA of each cancer cell. Currently, doctors diagnose different types of cancer based primarily on where they are, what they look like in scans, and what molecules they are made of when samples are taken in biopsies. A new study introduces a novel method, looking at the methylation of cancer DNA, a process that inhibits or expresses specific functions in a cell that can characterize different disorders. By identifying the specific DNA methylations in each tumor, they can be attributed to a specific diagnosis; this is done simply by removing a small piece of the tumor, and analyzing it in the lab. This study looked specifically at tumors on the central nervous system (CNS) and performed the methylated cancer DNA diagnostic test for 1104 patients, each diagnosed with one of 64 distinct cancers resulting in CNS tumors. 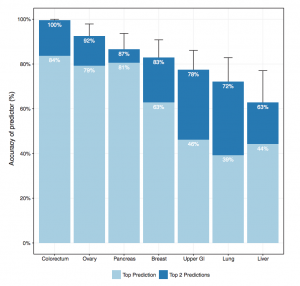 In 76% of cancers, the test matched the existing diagnosis. In 12% of cases, the original diagnosis was revised as a result of this test. In the remaining instances, the test could not match to a known methylation class. These results are extremely encouraging, and point to the end of subjective cancer diagnoses, where doctors must act as detectives, gathering clues to point to the most likely diagnosis. But this new test is a fingerprint; every cancer has a different one, and once they can be told apart, they need only consult a database stocked with thousands of cancer prints. And this database is already live and free the world over, the data for every cancer case tested in this manner will be available and shared. Doctors will be able to readily compare the DNA in the cancers they encounter with other cases, which will likely lead to the discovery of new, unique cancers, and dramatically improve the accuracy of diagnoses overall. A new blood test is capable of identifying genetic markers for eight major types of cancer. Though it only correctly identified cancer 70% of the time, this so-called “liquid biopsy” is a minimally invasive way to screen for cancer when no symptoms are present. It is at this stage cancer is at its most treatable, and at $500 costs no more than a colonoscopy, mammogram, or other cancer screenings. The importance of such a test cannot be overstated in the fight against cancer. Insidious cancer cells can essentially lie dormant for 20-30 years before they grow into large, spread out masses that are difficult or impossible to eradicate. By identifying the cancer in its nascent stages, it can be usually be readily cured using radiation, surgery, or other common treatments. The difficulty lies in identifying the cancer DNA in patients blood, which is often present in miniscule amounts, and even when identified it can be difficult to trace the tissue of origin. The eight major cancer types being screened here account for 60%, or 360,000, of all cancer deaths in the US last year, and there is nothing more critical to their effective treatment than an early diagnosis. Though as you can see from the accompanying chart, detectability varies; but this methodology is a work in process with large-scale human trials set to begin soon. The research comes out of Johns Hopkins University in Baltimore and has been published in the journal Science. As this research begins large-scale human trials it will be evaluated for its utility in hospitals and doctors offices. The hope is that the principles underlying this methodology can be expanded to identify more types of cancer, and with greater accuracy. We may never be able to cure late stage cancer, and the treatments are often ghastly; but if the disease can be identified before it even forms tumors, the cancer can very likely be cured. The effect of space radiation on astronaut health has always been a concern of NASA and its astronauts. With space flight, there are numerous possible health challenges that can occur, but radiation and its effect on cardiovascular disease and cancer is at the top of NASA’s list. The difficulties and costs of space travel make it hard to measure these effects. In spite of these challenges, in 2018 researchers at The University of Texas, National Cancer Institute, NASA Johnson Space Center, and MEI Technologies conducted an observational cohort study of astronauts and found that there was no over exaggerated risk of cancer or cardiovascular disease due to space radiation. However, these results were not completely conclusive and doubts still remain. The team selected astronauts from 1959 to 1969 and looked at their medical records from birth to death, or 2016, which ever came first. Their data was collected from the Lifetime Surveillance of Astronaut Health program at the NASA Johnson Space Center. The astronauts that were used in the study participated in the Mercury through Space Shuttle programs. A diverse population was not possible as all astronauts of the time were white males, and some of the included subjects never even flew a space mission. In total, there were 73 white males (49 living and 34 deceased) that participated in the study. The health hazards of smoking were not well known at the time, so this group maintained similar smoking patterns as the general U.S. population. It would be much more difficult to find a single astronaut that smokes today! NASA carefully measures radiation exposure to its astronauts and the total doses ranged from 0 to 74.1 mGy (milligrays). After comparing with the United States white male population, the overall mortality rates of the astronauts that were used in the test fell well below the national average! Although the researchers found that space radiation doesn’t lead to risk of cancer or cardiovascular disease, they decided that the findings were not conclusive, only because they used such a small sample. It is also possible that the astronauts in the population had a reduced cardiac risk because they were in better physical condition than the average U.S. white male of the time. The researchers want to look more into this topic by using epidemiology data with cell and animal studies to back up their findings on the risk of space radiation. Elgart, S.R., Little, M. P., Campbell, L. J., Milder, C. M., Shavers, M. R., Huff J. L., Patel, Z. S. Radiation Exposure and Mortality from Cardiovascular Disease and Cancer in Early NASA Astronauts: Space for Exploration. NASA Technical Reports Sever: JSC-CN-40709.